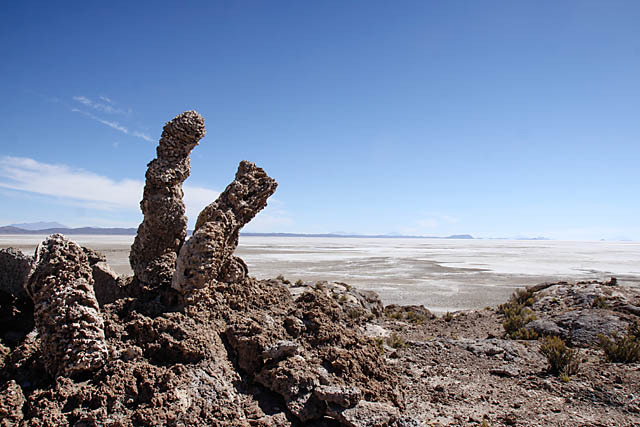 Salar de Uyuni is arguably Bolivia's top tourist attraction, and many people go on a muti-day circuit tour of the salt flats, taking in the spectacular Altiplano landscapes, the surreal lagoons, and the beautiful flamingoes. 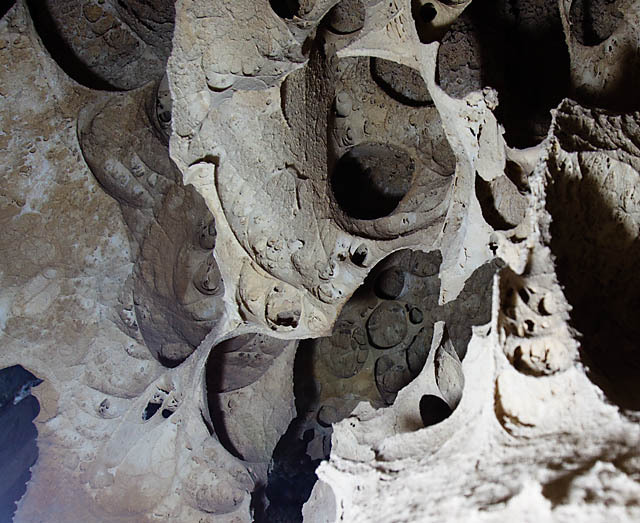 But one of the lesser visited attraction in the circuit is Cristal Galaxy Cave, and I feel it would be a shame to miss it! 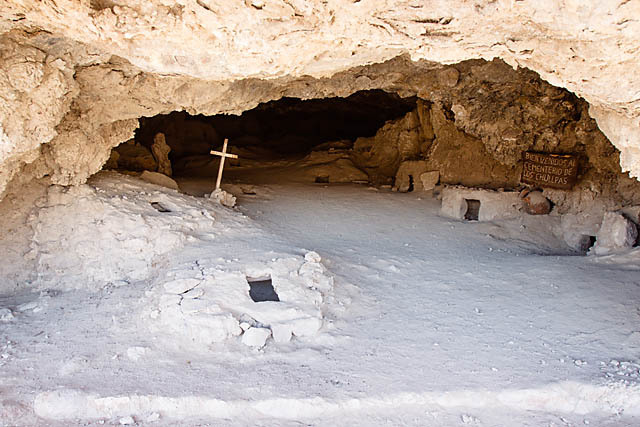 Visiting it would typically add an additional day to your standard circuit itinerary, but on the same site is Cementerio de los Chullpas, a sacred burial cave cemetery. 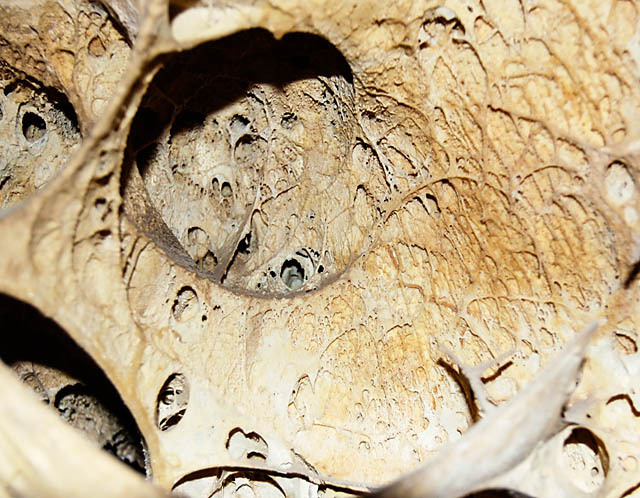 Skulls and simple artifacts are still visible, but unless your guide fills you in on the stories and myths surrounding the place, there is little other information on it. However, it is the cave next door, the Cueva Galaxia Cristal that we were more impressed over! The cave was discovered only in 2003, so it's relatively "new" but I hope the authorities would properly manage the place. 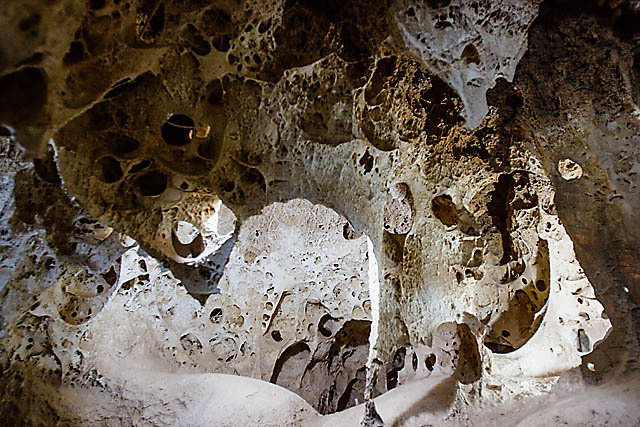 The "path" in the cave is relatively narrow, and an overly enthusiastic tourist would have easily cause mishap. We were the only tourist then. 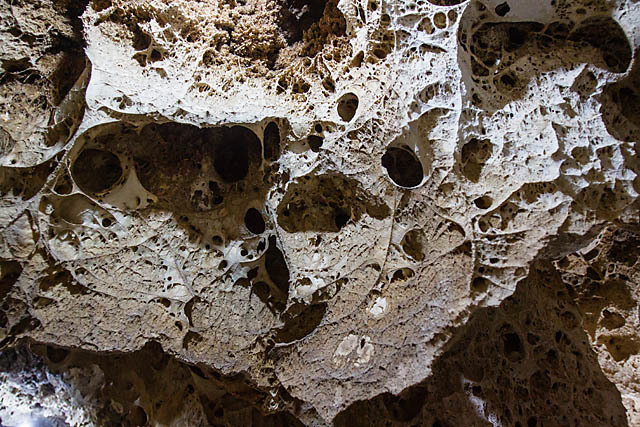 Having seen caves ranging from limestone caves, salt cave, glacier cave, and also another lava cave (this would have been considered a lava cave I believe), this still impresses. And really, the scenery in the Altiplano is so wonderful, adding a day to your tour wouldn't hurt! 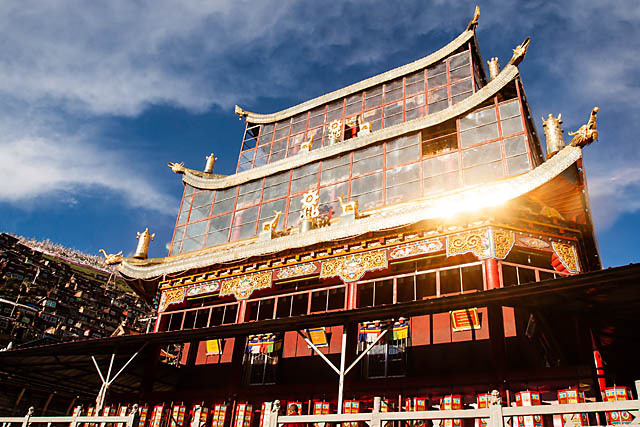 One of the more interesting forays into the lesser visited parts of China is the Serthar Buddhist Institute (色达喇荣五明佛学院), situated in the sensitive Tibetan region of Garze prefecture in Sichuan China. You may have visited monastic towns and villages before, but nothing quite like this. 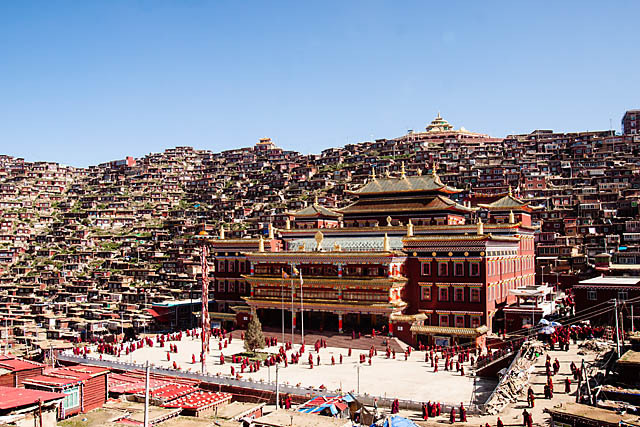 Also known as Larung Gar Buddhist Academy, it is founded by an esteemed Khenpo (a title akin to a degree for Tibetan Buddhism studies), Jingme Phuntsok, in the 1980s. The academy attracted students from all over China, and grew to over 10,000 students by year 2000. 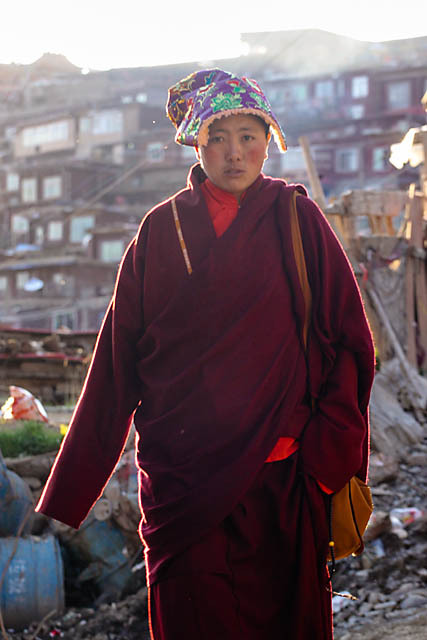 Today, it is reputed to have more than 40,000 monks, nuns and lay followers coming from all over, including countries like Singapore, Malaysia, Hongkong and Taiwan. 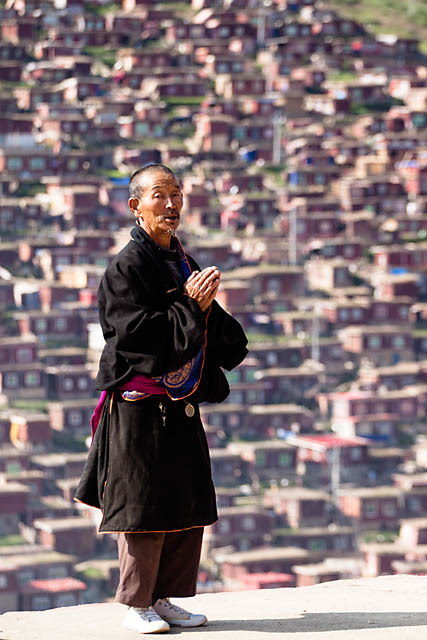 With that many students, the Larung valley where the academy is, has grown into somewhat of a major town. The whole "town" though is separated into 2 areas, one for the monks, and the other for the nuns. They live in small simple houses that were built packed together, and sprawled all across the valley, and today, the valley and town is really quite an astounding sight. As with any other towns, small shops and stalls cater for the simple needs of the inhabitants, which is essentially food and monastic supplies. There is also two simple guesthouses (招代所) for visiting guests, and when I was there in 2011, a major hotel of sorts is being constructed. From lay followers whom I've spoken to, most of them lived with the monks/nuns as a particular term/course with the institute can last from weeks to months even. Perhaps that major hotel would be catered for the lay followers and visiting tourists. 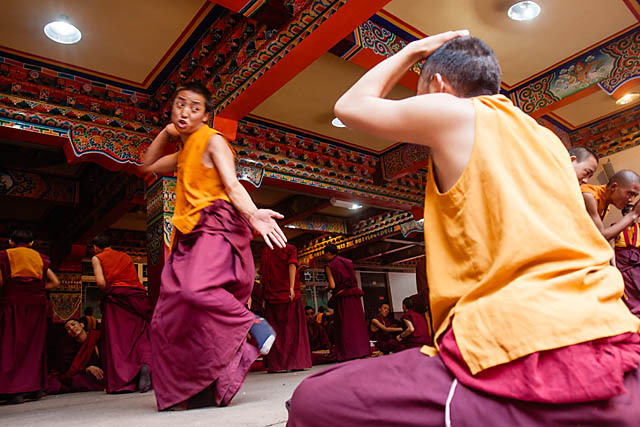 On each side of monk/nun segment is the main monastery building, where a visit is certainly a must. 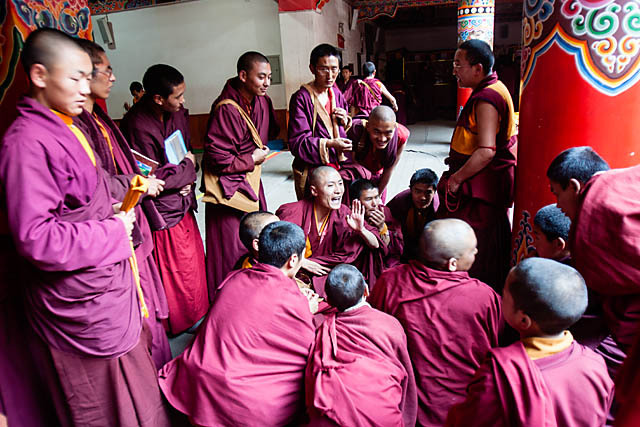 Within the halls of the monastery are where all the monks/nuns study. And everyday, at certain hours (usually in the evening), there will be a "debate" session which is quite an eye-opener for most. At the top of one of the hills is a huge stupa and every evening, most monks/nuns would make their way up to circumambulate the structure, and make their prayers. For visitors, the view of the whole Serthar Buddhist Institute from the top is just fabulous, especially for sunrise/sunset. 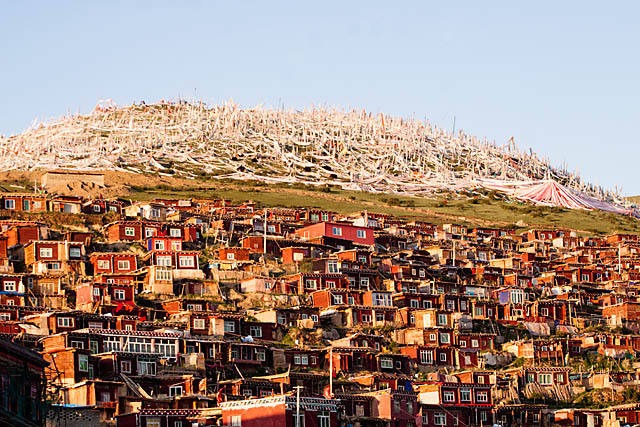 Serthar is also a place where one can witness a Tibetan 'Sky Burial', and is certainly not for the faint hearted! Does this look like a verbal debate? Getting into Serthar, however, is alot more troublesome, especially for foreigners. The area is often closed and/or is subject to frequent checks. However, I did not encounter any problems. There are only minivan shuttles between the institute and the nearby Serthar town (which runs really infrequently unless you book the whole minivan). From the town, there is also limited transport options, with something like one or two buses a day in/out to Ma Er Kang (马尔康). From Ma Er Kang, you can then find buses to/fro Chengdu, or further north into Gansu province. However, the experience is certainly quite different, and I think, worth the trouble.